May the force be with you. 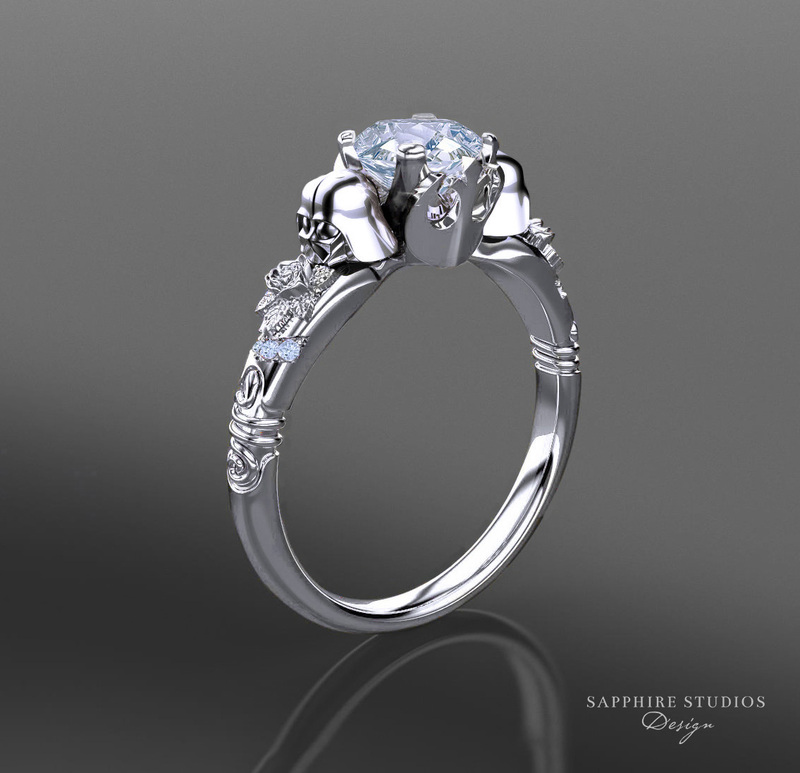 This design is inspired by Star Wars, combining the Rebel Alliance symbol as the centrepiece, Princess Leia’s armband wrapping around each side, set with a beautiful 0.75ct round cut centre stone between Darth Vader. Upgrade centre stone to a certified Charles & Colvard moissanite – All Charles & Colvard moissanite stones ship with a lifetime warranty card issued by Charles & Colvard. When the ring arrived it was even more beautiful than the picture. Needless to say, she said yes. My best friend purchased this for me because she knows how much I love Darth Vader and shiny things. She and I both talk up Sapphire Studios to everyone we know because we adore the Iconica collection. I am absolutely stunned with the quality and craftsmanship that go into the jewelry. This might not have been an engagement ring for me, but despite all it’s nerdiness it is absolutely beautiful, which is my favorite thing about this collection. There’s so many details for you to recognize but the overall look is still very dainty and elegant. Thank you so much for creating such beautiful and fairly priced jewelry!